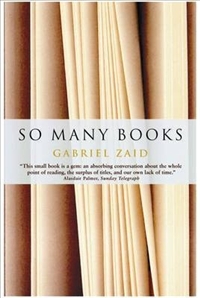 "What does it matter how cultivated and up-to-date we are, or how many thousands of books we've read? What matters is how we feel, how we see, what we do after reading; whether the street and the clouds and the existence of others mean anything to us; whether reading makes us, physically, more alive." Here's hoping that you all find a book that can do this for you. If you've ever had this experience, what books have made you feel more alive? And how did an author give that to you?